The Open Standard for Public Transport (OSPT) Alliance is proposing a new open ticketing standard to be called Cipurse that will “enable technology suppliers to develop and deliver interoperable transit fare collection solutions for cards, stickers, fobs, NFC mobile phones and other consumer devices.” Singapore’s Land Transport Authority is the first to agree to adopt the new standard. Six companies involved in the move to NFC-based transit ticketing have come together to create the Open Standard for Public Transport (OSPT) Alliance with the aim of creating next-generation open transit fare collection solutions. The idea was first put forward in February 2010 by Infineon, Giesecke & Devrient, Oberthur Technologies and Inside Secure and the four founders have now been joined by Watchdata and the Open Ticketing Institute of the Netherlands, a group formed by Trans Link Systems (TLS) and partners with the aim of creating interoperable e-ticketing systems. 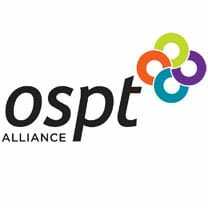 The OSPT Alliance is currently developing the initial version of an open security standard as well as documentation and reference implementations to enable technology suppliers to develop and deliver interoperable transit fare collection solutions for cards, stickers, fobs, NFC mobile phones and other consumer devices, as well as infrastructure components. “Unlike systems based on proprietary technologies that limit choices, are potentially less secure and cost more to acquire, deploy and maintain, products that conform to this standard will include the most advanced security technologies, help ensure compatibility with legacy systems, and be available in a variety of form factors,” say the members of the alliance. Singapore’s Land Transport Authority (LTA) has already put its weight behind the project, saying it will adopt the new Cipurse solution once it becomes available. The alliance now plans to establish an ecosystem of transit operators, technology suppliers, consultants and integrators, government agencies, and mobile ecosystem product and service providers, as well as other industry associations, to develop new transit fare collection solutions based on open standard security. The alliance has also approached the Calypso Networks Association (CNA) with the aim of creating a common working group.